Sometimes it is the little things that make a great comic moment. You wouldn’t think there is much humour to be extracted from using a public phone box (remember those?). But the dad’s Army team proved the opposite in the episode The Lion has ‘phones. Faced with the need to get get messages from patrol back to HQ (the church hall) quickly they quickly discount boy-scout runners, heliographs and tick-tacking as impractical. Instead they settle on the old-fashioned telephone. The trouble is Pike is banned from using them for fear of contracting mastiffs, and Godfrey is hopeless with machinery. So Mainwaring decides to settle the problem with a lecture and practical demonstration. 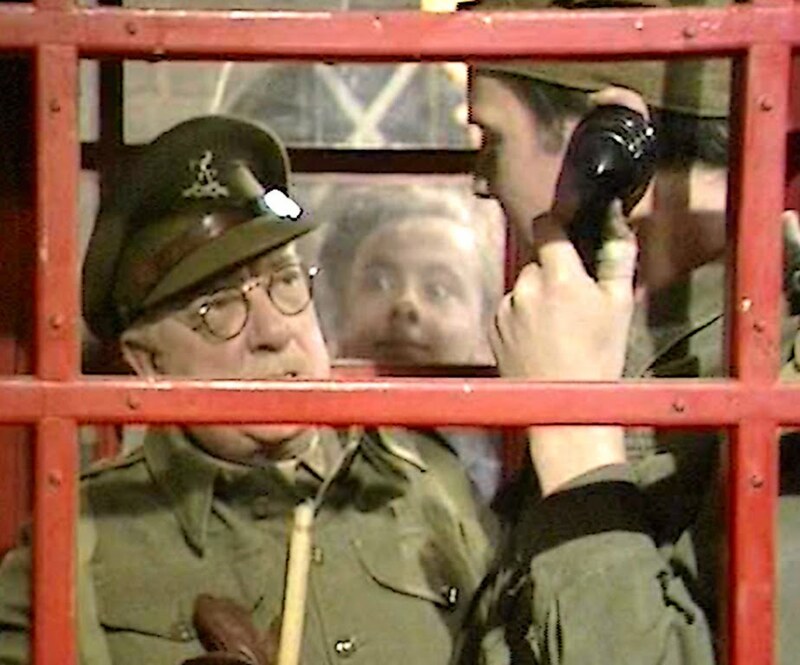 With Wilson playing the part of the telephone operator and the whole platoon providing ‘ching-ching’ sound effects the chances of any actual calls being made are slim – at least until Mrs Pike purns up with Frank’s scarf. This entry was posted in blog on July 19, 2018 by wolAdmin.